The iconic pop artist’s bright, playful new show at the NGV is a glimpse into art’s future. In 2009 David Hockney got his first iPhone. Over the following few years his first iPhone and iPad drawings began to surface. The art world took time to adjust. A major 20th-century artist – who pioneered the pop-art movement in Britain and who at one stage of his career took up to three years to complete a single painting – was tossing iPad sketches into the mix. They looked simple and childlike, a far cry from revered works such as A Bigger Splash or Mr and Mrs Clark and Percy. Hockney is one of the most popular and influential painters of 20th-century Britain and a big deal in pop art broadly. 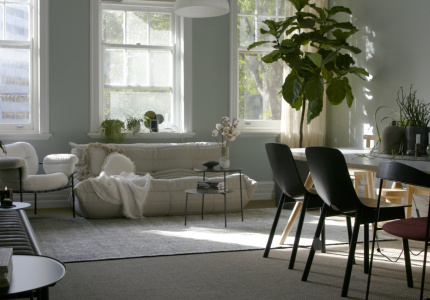 His most significant works are inspired by Yorkshire in England and his adopted California. His iconic pieces are vivid and bright, and often feature swimming pools with flat, modernist architecture juxtaposed against lithe, living water. If the NGV’s new show, David Hockney: Current, proves one thing, it is that Hockney, at 79 years old, is still one of the world’s most important living artists. He’s still working faster and more prolifically than ever. He hates to lose a day of work. His motto is “shut up and paint”. 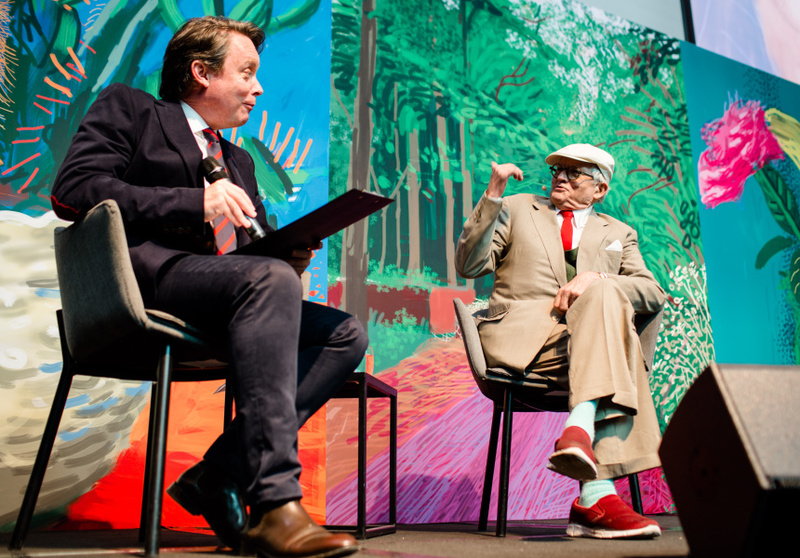 The NGV had to negotiate with Hockney’s studio for two years before the artist agreed to the exhibition – he didn’t want his production to stop to focus on a retrospective of work from decades ago. Rather than a handful of discrete masterpieces – though those are here too – Current presents Hockney’s output as a work in progress across the past decade. There are more than 1000 works here, and he was still adding to this show until a few weeks ago (look out for the two new pieces unceremoniously pinned to the wall on the way to the gift shop). The charm of the show is Hockney’s apparent lack of reverence for his own work. He’s not precious. He sees himself as a draughtsman. He makes marks on a screen, prints it out, and revels in the expediency this allows him. One of the most engrossing elements of the exhibition is the inclusion of several time-lapse, animated iPad paintings that show exactly how Hockney produces each work. They are layers of vivid colour with hundreds, if not thousands, of dashes and lines that build into technicolour landscapes of Yosemite National Park, of country England and his famous self-portraits. The first gallery in the exhibition is something of a visual diary, presented on a series of mounted iPhones, iPads and larger screens. Some are more polished than others, some are just scrawled landscapes, simple still lifes – watch out for some of Hockney’s trademark fag-ends in an ashtray – portraits and personal notes. “Heavy cloud this morning,” one reads, “so I have gone back to bed – DH”. These are sketches, many of which were simply things he jotted down on his phone and sent to friends, but which add up to a whole. Plenty of these works make more sense in context than they would in isolation. In one 60-metre-long gallery, Hockney presents 82 portraits of friends and family (and one still life of a bowl of fruit because his subject didn’t show up that day). This series – triggered by the death of a studio assistant – represents Hockney’s return to using acrylic paints after years spent with a stylus and Apple device. They were all (actually) painted on canvas in his Los Angeles studio between 2013 and 2016. Taken individually they’re seemingly simple, hyper-coloured portraits. Taken as a whole it’s a single installation – as if Hockney is catching glimpses of himself in his subjects. It’s a vast, glorious self-portrait in which the artist doesn’t appear. Some will not speak to you; others deftly capture something of the subjects’ personality and mood. 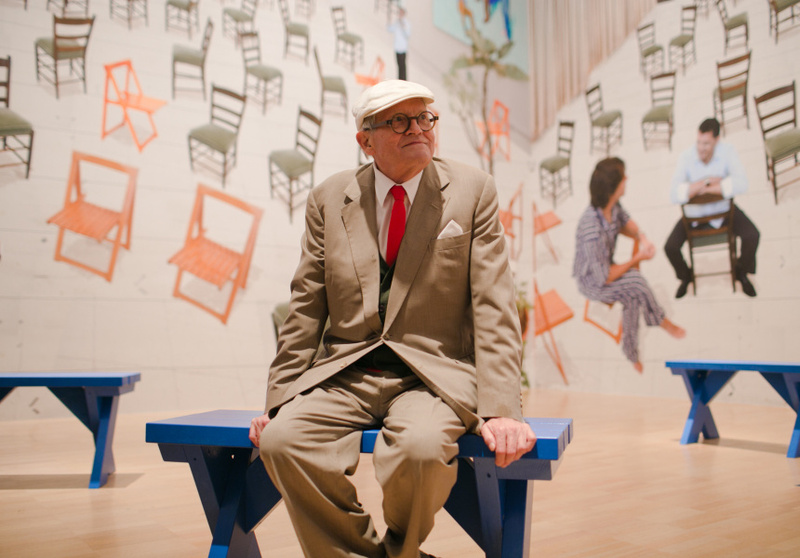 Hockney has said painting is an old man’s game: it’s an accumulation of experiences. But Current presents his process as anything but safe and staid, and he’s still learning, and willing to fail. The exhibition includes gently beautiful, hypnotic video works of a single North Yorkshire road over four seasons. His version of the cliff faces of Yosemite National Park stand in complete opposite to Ansel Adams’s iconic photographs of the famous American landscape. Plenty of visitors will be skeptical about paying to see iPad drawings hanging on walls that have recently displayed the paintings of Degas, and soon, van Gogh. 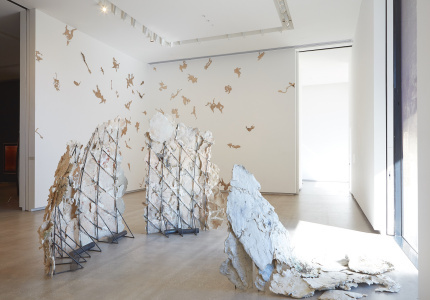 But however you feel, this is an exhibition that goes to the heart of what art, at its best, should be: boundary-pushing, cause for debate and paving the way for radical new forms of artistic expression. 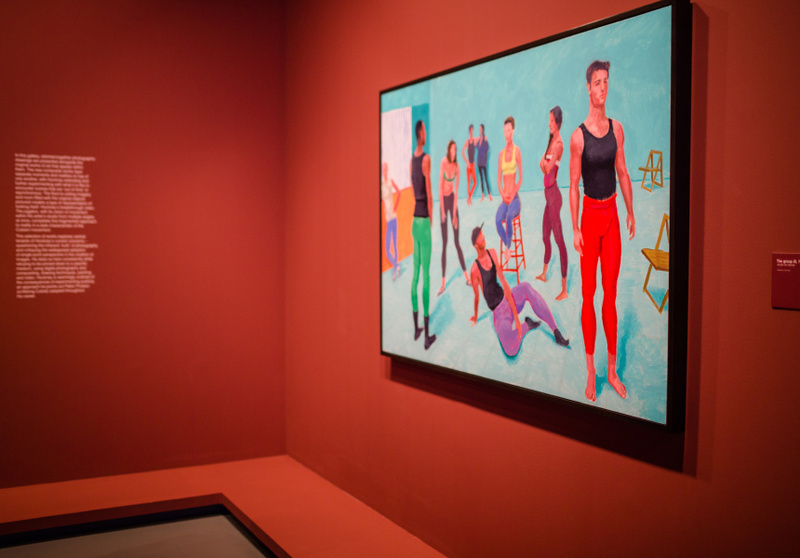 David Hockney: Current is at the NGV until March 13.